Canon imagePROGRAF PRO-2000 Printer | Beau Photo Supplies Inc. 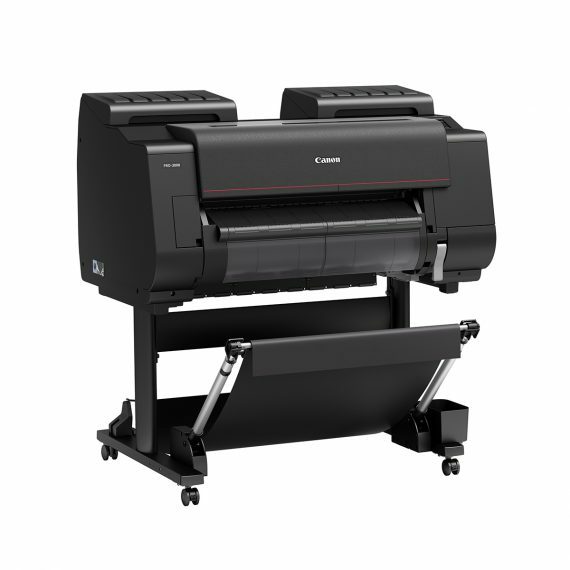 The 24-inch imagePROGRAF PRO-2000 printer is designed to exceed expectations for image quality and colour consistency in a large format printer. The use of new a 1.28-inch wide 12-channel integrated compact print head, LUCIA PRO ink set plus Chroma Optimizer, a high-precision mechanical platform and the L-COA PRO high-speed image processing engine achieve a balance between high-speed printing and exceptional print quality. NOTE: Beau Photo has a demo PRO-2000 printer, so if you’d like to check out some print samples or see one in action, call or email for an appointment!